Seller will entertin offers between $1,299,000 - $1,399,000. This home has a personality; one that everybody likes and everyone wants to be with. It’s attractive, laid back, and doesn’t demand attention. While others are trying to be the life of the party, it sits back content and confident in knowing it's got it all. Simply put, 182 Hillcrest has what everyone wants. It holds a high status but keeps a low profile, has an easy vibe and is really fun to be around. 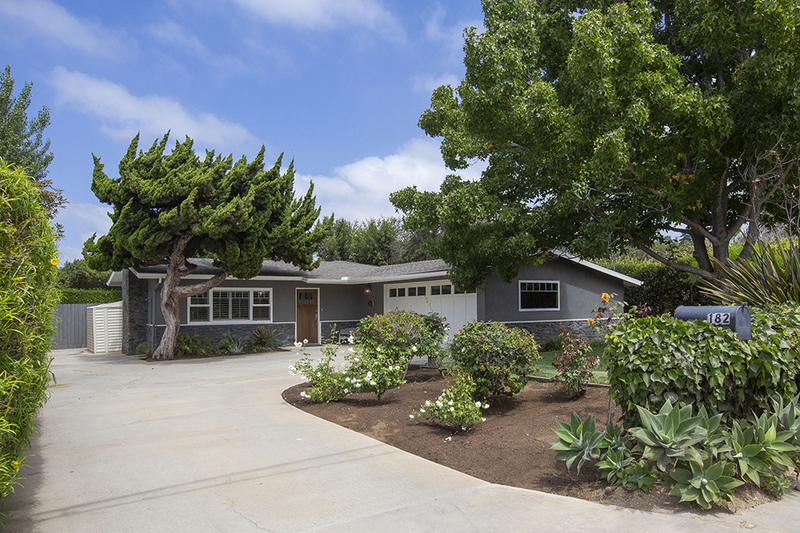 Being near the beach and having close access to Leucadia hot spots is a really attractive quality. And its single-level status draws a lot of interest. But it’s more than just a pretty face. On the inside, it has heart, class and is perfect for someone who’s looking for a committed relationship. It’s mature and can provide a balanced, meaningful life. 182 Hillcrest offers everything you’re looking for—a fun, care-free lifestyle that can also be serious and grow with you when you’re ready for the next level, such as adding a family pool or a second floor. It really has it all. So don’t let this be “the one that got away”. You’ve found your soul mate. PLEASE READ! 182Hillcrest.Com REQUIRES CONSIDERATION FOR AND AS A CONDITION OF ALLOWING YOU ACCESS. ALL PERSONS UNDER THE AGE OF 18 ARE DENIED ACCESS TO 182Hillcrest.Com. IF YOU ARE UNDER 18 YEARS OF AGE, IT IS UNLAWFUL FOR YOU TO VISIT, READ, OR INTERACT WITH 182Hillcrest.Com OR ITS CONTENTS IN ANY MANNER. 182Hillcrest.Com SPECIFICALLY DENIES ACCESS TO ANY INDIVIDUAL THAT IS COVERED BY THE CHILD ONLINE PRIVACY ACT (COPA) OF 1998. Contact Email: Info@CaspersenGroup.com All Rights Reserved. We understand that privacy online is important to users of our Site, especially when conducting business. This statement governs our privacy policies with respect to those users of the Site (“Visitors”) who visit without transacting business and Visitors who register to transact business on the Site and make use of the various services offered by Caspersen Group (collectively, “Services”) (“Authorized Customers”). Personally Identifiable Information collected by Caspersen Group is securely stored and is not accessible to third parties or employees of Caspersen Group except for use as indicated above. Visitors and Authorized Customers may opt out of receiving unsolicited information from or being contacted by us and/or our vendors and affiliated agencies by responding to emails as instructed, or by contacting us at 1953 San Elijo Ave Cardiff, CA 92007. How does Caspersen Group use login information? Caspersen Group uses login information, including, but not limited to, IP addresses, ISPs, and browser types, to analyze trends, administer the Site, track a user’s movement and use, and gather broad demographic information. Visitors and Authorized Customers may contact us to update Personally Identifiable Information about them or to correct any inaccuracies by emailing us at Info@CaspersenGroup.com. 182Hillcrest.Com contains links to other web sites. Please note that when you click on one of these links, you are moving to another web site. We encourage you to read the privacy statements of these linked sites as their privacy policies may differ from ours. Do you have a good faith belief that your intellectual property rights have been violated by Caspersen Group? Do you have a good faith belief that a third party may have uploaded content to 182Hillcrest.Com? 1. Please describe the copyrighted material, work or other intellectual property (collectively "Material") which you believe is being infringed upon, and where on the 182Hillcrest.Com website the Material is located. 2. Your contact information (name, telephone number, e-mail address, or other detail where Caspersen Group* or the alleged infringing party can make direct contact with you). Upon receipt of the information above Caspersen Group will promptly, but may need additional information to fully address the notice you have provided to it and before it removes any Material alleged to be infringing. Your contact information given in the notice requested may be provided to the alleged infringing party if it is not Caspersen Group so an appropriate proper response can be sent. * The alleged infringing party may be someone other than Caspersen Group.